By day, they are maintenance workers and groundskeepers at The Ohio State University at Mansfield. But when snow is in the forecast, the “Snow Dawgz” are the first, and sometimes only, employees who are required to report to work. Nicknamed “Snow Dawgz” by a professor a few years ago, they travel snow-packed roads from Lucas, New Washington, Crestline and Ashland, as well as from Mansfield, usually rousted by a phone call about 3 a.m., to prepare the campus by 7 a.m. for employee and student arrival. The campus rarely closes for snow events. 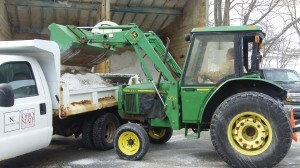 Tim Robinette, groundskeeper at The Ohio State University at Mansfield, prepares for an upcoming snow event by loading a salt truck at the Schuttera Service Center. The groundskeepers and maintenance crew are responsible for keeping the campus open for classes during the winter. 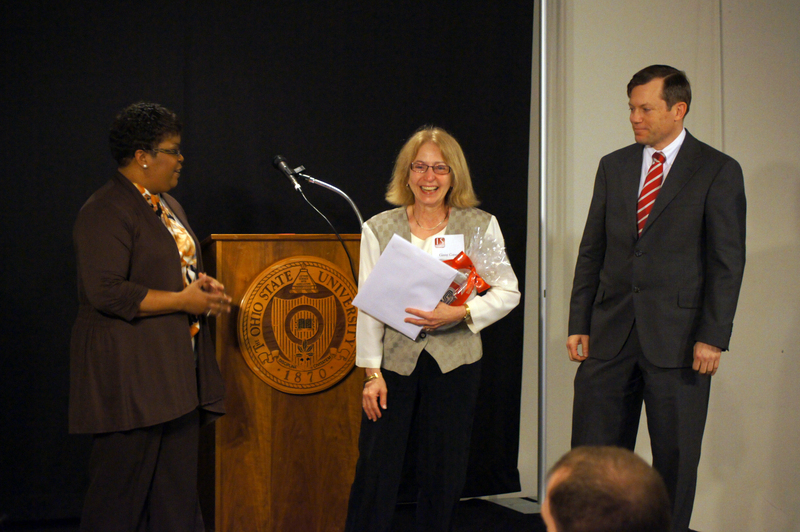 The crew of nine is responsible for several miles of roadways on the Mansfield campus, as well as sidewalks and more than a half-dozen large parking lots that service both Ohio State Mansfield and North Central State College. Equipment does dual duty – six pick-up trucks are retrofitted for winter with snow plows, a loader is used to fill a salt truck, and tractors are fitted with plows and sweepers to clean sidewalks. A local snow removal company is on speed-dial in case heavier equipment is needed. Their work this season has been nearly non-stop. They have had more call-ins, as they refer to the early morning phone calls, to date than all of last year, according to Larry Stimpert, building maintenance superintendent. In a typical winter, the “Snow Dawgz” respond to about 20 to 25 call-ins. By mid-January this year, they’ve already reported for snow duty 19 times. There’s only one shift and they sometimes work 12 to 14 hours before leaving. Crews usually bring clothes, sleeping bags and food for the rare occasion when they can’t get back home. Every snow is different, Robinette says. 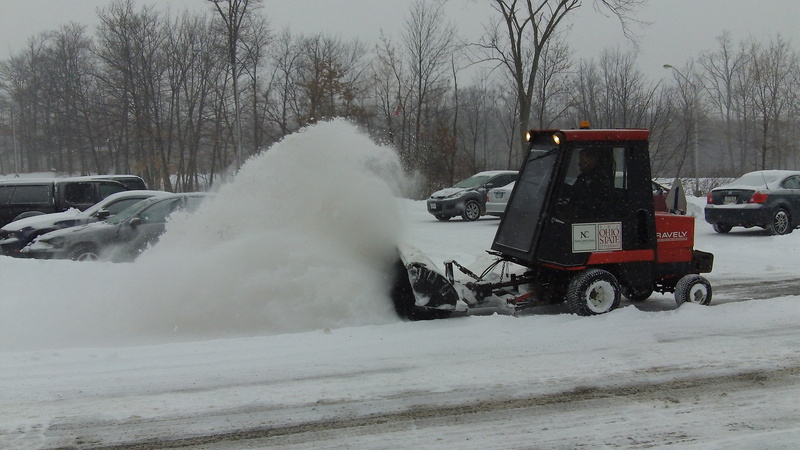 Depending on the temperature and humidity, at times crews can use brushes on the tractors to clear fluffy snow, while at other times plows are needed to push the snow into large mounds at the edges of parking lots. Crews must hand-shovel several stairways.